Patrick Van De Ven’s award-winning bird designs (including his Cockatoo and Parrot) can be found in Balloon Magic Magazine and were taught in his TBAG lecture. Both of these creations are reputation makers and I frequently make a version of his parrot at all my paid events. Check them out if you haven’t done so already – they are brilliant. 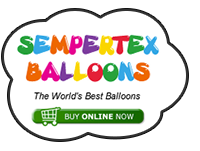 Over the last year or so, Patrick has released a series of balloon PDFs via his personal facebook page. These are not widely advertised. You send him money via Paypal and you receive the PDF within a facebook message. This PDF is 17 pages long comprising of colour photos and step-by-step instructions to make the Toucan. 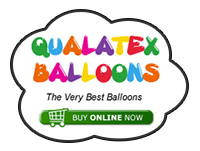 Balloon sizes are given in inches which are accurate. I would recommend you follow along the first time measuring each bubble using a ruler to get the hang of things. If you are already familiar with Patrick’s bird designs then the various components of this model will be straightforward (for example, the feet and legs are the same as the Cockatoo). The key difference is with the head structure. I am not going to reveal all the details here (you will need to purchase the PDF) but it requires a Frumple Twist. Patrick explains how to do this using a clear balloon so you can see exactly how to do it. Be warned, the white 350Q with the Frumple is prone to popping. Patrick ties the black balloon directly onto the joining point but I found this very tricky so I tied the frumple using a scrap of balloon first. Don’t be too worried about the joint looking a bit of a mess and it is suitably covered by a black 160Q. The key point is not to make the frumple too deep as it distorts the look of the toucan. This is not a tutorial for beginners – and some advance twisters may find it a challenge but the end result is incredible. I absolutely love it and if you haven’t quite got the skills to make it don’t give up – use it as a source of inspiration. Yes I did see Patrick posting about this and did comment to him what a lovely design it was. Lovely Darren where do I find this tutorial please? Send paypal to the address stated in the photo and mention your facebook name - Patrick will message you the tutorial. The response isn't always instant but it will be sent. Well I made a couple of Toucan's yesterday but have not had time to photograph them as yet. Will do tomorrow and post them, I feel a little naughty as I have not bought the instructions. saw Darren's post asking if anyone had made it so thought I would have a go. Thanks for the review Darren. Much appreciated! I did one on a hat recently, using a different colour beak with Orange and Coral. Now I feel even more guilty and your bad dutch joke did make me laugh. I have the two toucans ready to post, I just sent Patrick 7 euros as I felt uncomfortable making the design without. Will be interesting to see how his construction went...................that is if I open the PDF. Patrick just sent me the PDF, I have not looked at them. I made the toucan on Saturday night but did not take a picture till Monday morning. I made two versions as I was not happy with the way the beak and head sat in relationship to the body. And I think the beak was to small.